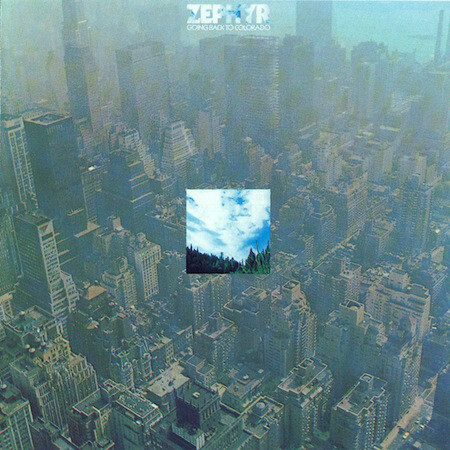 Like many bands who don’t reach the heights that their music deserves, the story of Zephyr is one of what might have been. They released a trio of albums between 1969 and 1972, which nowadays, have a cult following. 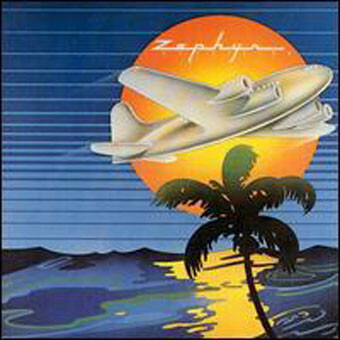 This includes Zephyr’s sophomore album Back To Colorado and their third album Sunset Ride. These two albums were recently reissued by BGO Records, and are an opportunity to discovered one of the best bands you’ve never heard. Their story began in 1969. When recording of Back To Colorado began, the rhythm section now featured new drummer Bobby Berge, bassist David Givens and Tommy Bolin who played all the guitar parts and vibraphone. Zephyr’s multi-instrumentalist John Faris, played organ, piano, flute, soprano saxophone and sung the lead vocal on Take Me Love. Candy Givens took charge of eight of the nine remaining lead vocals and played harmonica. Augmenting Zephyr were backing vocalists; Buzzy Linhart who added the lead vocal on The Radio Song and Paul Conley who played a Moog synth. Producer Edward H. Kramer played piano, clarinet and percussion on Back To Colorado, where he helped Zephyr reinvent themselves musically. Eventually, Back To Colorado was completed, and was released in in 1971. Only Candy and David Givens remained from the original five members of Zephyr. The changes in the lineup left a void when it came to writing Sunset Ride. Especially the departure of Tommy Bolin, who was one of Zephyr’s principal songwriters. For Sunset Ride, Candy and David Givens wrote the most of the album. They wrote I’m Not SurpRided and Someone To Chew Together. David Givens penned No Time Lonesome, Moving Too Fast and wrote Sold My Heart with Jock Bartley. Cindy Givens contributed Sierra Cowgirl and Sunset Ride and joined with A. Armstrong and Jock Bartley to write Winter Always Finds Me. New recruit Dan Smyth made his songwriting debut when he wrote Chasing Clouds. The other track on Sunset Ride was a cover of Billy Edd Wheeler’s High Flying Bird. These ten tracks would become Sunset Ride. When Zephyr began recording Sunset Ride, there was no sign of Edward H. Kramer. Instead, David Givens and Zephyr produced Sunset Ride. It marked the debut on the third lineup of Zephyr. The rhythm section was changed beyond recognition, with drummer P.M. Wooten joined bassist David Givens who played acoustic guitar on Someone To Chew and sung on No Time Lonesome. The third member of the rhythm section was guitarist Jock Bartlett, whose vocals feature on Sold My Heart and Winter Always Finds Me. The other two newcomers were organist and pianist Dan Smyth and conga player John Alfonse congas. Candy Givens took charge of the lead vocals, played harmonica and piano on I’m Not SurpRided, Sierra Cowgirl and Sunset Ride. Augmenting Zephyr was violinist Bobby Notkoff, who featured on No Time Lonesome. This new lineup of Zephyr decided to combined the old and new on Sunset Ride. Not long after the release of Sunset Ride, Zephyr split-up. They had been together just three years, been through there different lineups and released three albums. 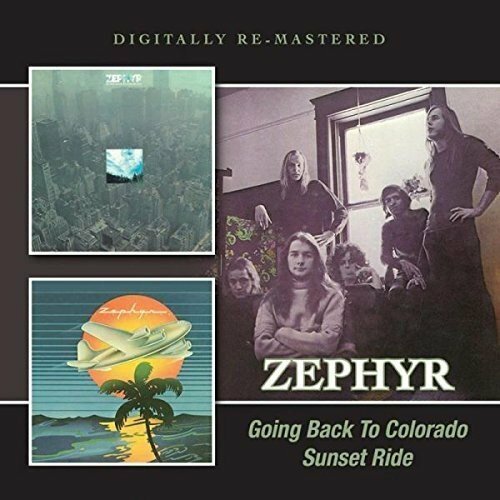 This includes Zephyr’s sophomore album Back To Colorado and their third album Sunset Ride which were recently reissued by BGO Records. 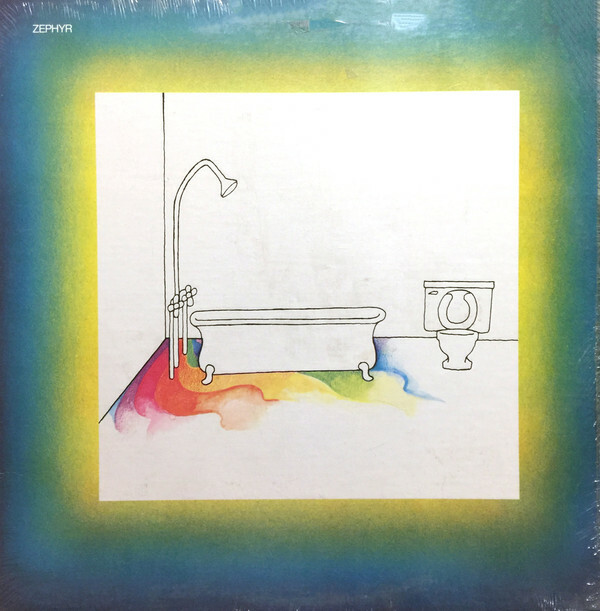 These two albums document how Zephyr’s music changed from the blues rock of their eponymous debut album.